Please contact us for pricing information! Our artists paint approximately 15-20 guests per hour depending on the design selected and age of participants. 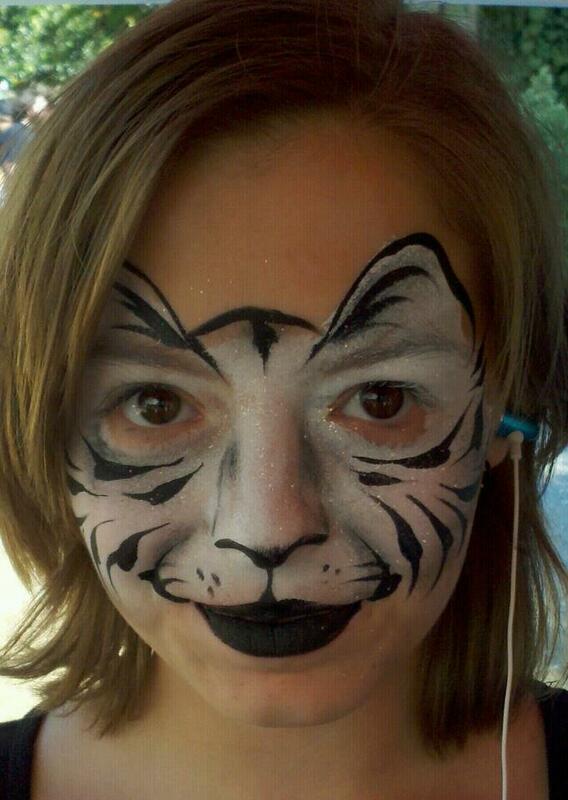 We are able to paint more faces an hour if we limit the design choices. 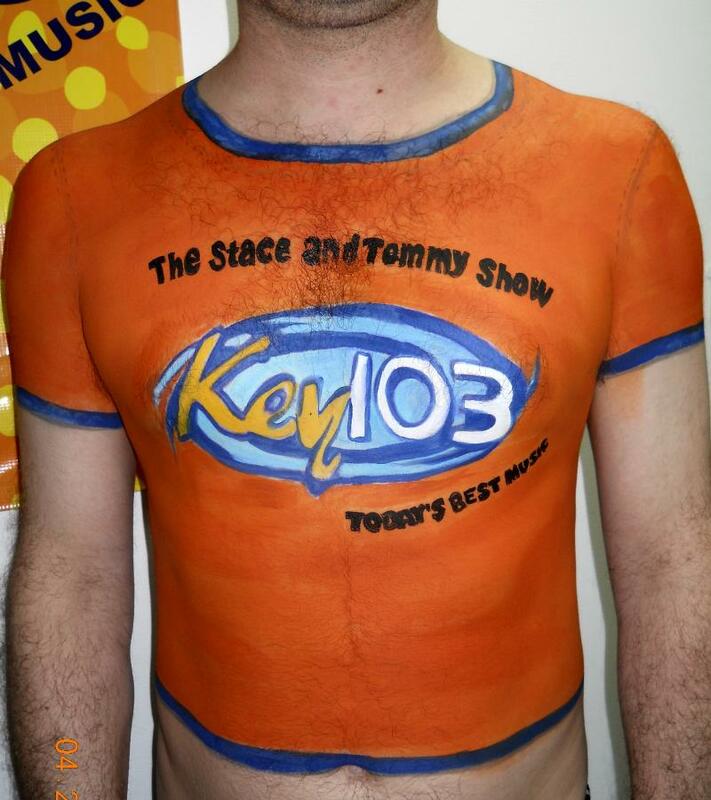 Ever considered getting a tattoo but wondered how it would turn out? Well the art of Henna may be just for you! Henna is a natural plant dye which stains the skin and can last from 7 days to 3 weeks depending on skin type, placement of the design, and care of the design. Designs can be chosen from patterns the artist brings, done by freehand by artist from her designs, or can be designed at the party. 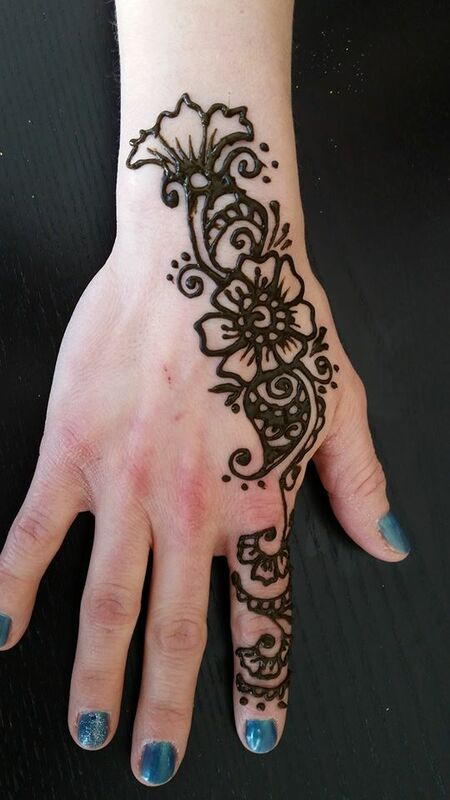 Henna cannot be removed once placed and must wear off the skin over time. Unfortunately this artwork is not suitable for anyone with allergies to Citric or Eucalyptus. Artist can accommodate 10-15 guests per hour depending on complexity and size of the design. Our artists can accommodate 20-30 guests per hour depending on size and complexity of design. Designs can be chosen from stencil patterns or free hand creations. Glitter tattoos are applied with a non-latex cosmetic glue that can be removed with 70% rubbing alcohol or baby oil. They will not wash off with soap and water. They will normally last from 3-5 days depending on placement and care. Recommended age: 3 yrs and older. 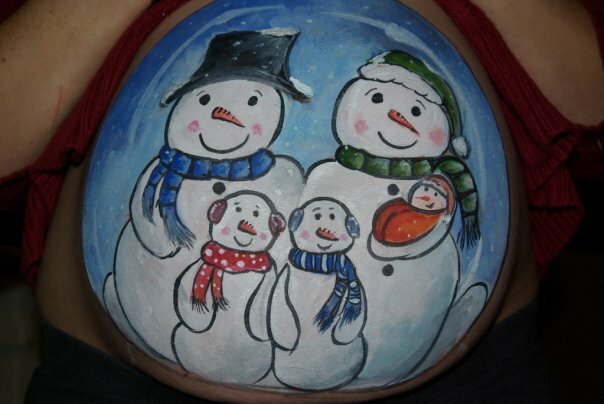 What better way to show off a pregnant tummy than to have a one of a kind piece of art painted on your beautiful belly. From flowers to basketballs, our artists will transform your tummy to accentuate the bun in your oven. All paints are safe and will not harm you or your unborn child. based on availability of our additional artists. Additional rate for artist does apply. 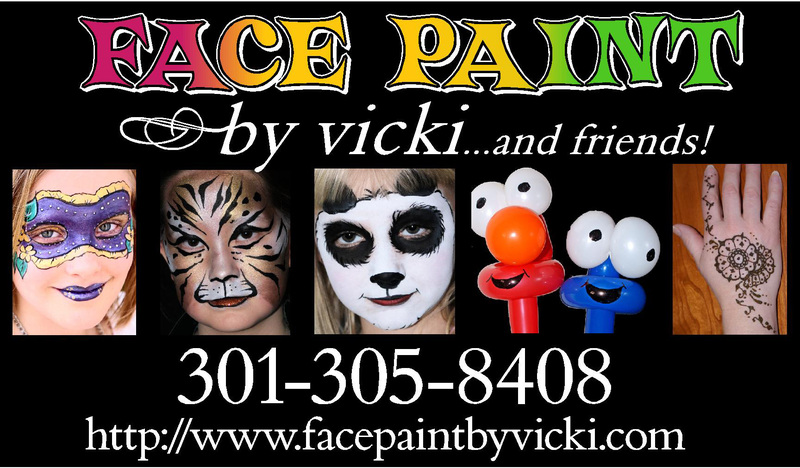 Face Paint By Vicki offers a variety of exciting packages and services. If you don't find what you're looking for on this page, please contact us and inquire.